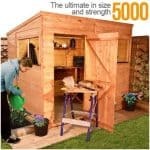 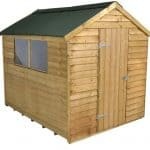 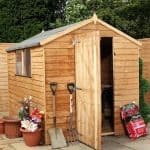 This wooden shed has a flat, pent roof and is constructed from dip treated 8mm overlap boards for strength and durability. 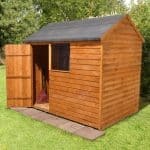 It has one large door and two windows, allowing light and air inside. 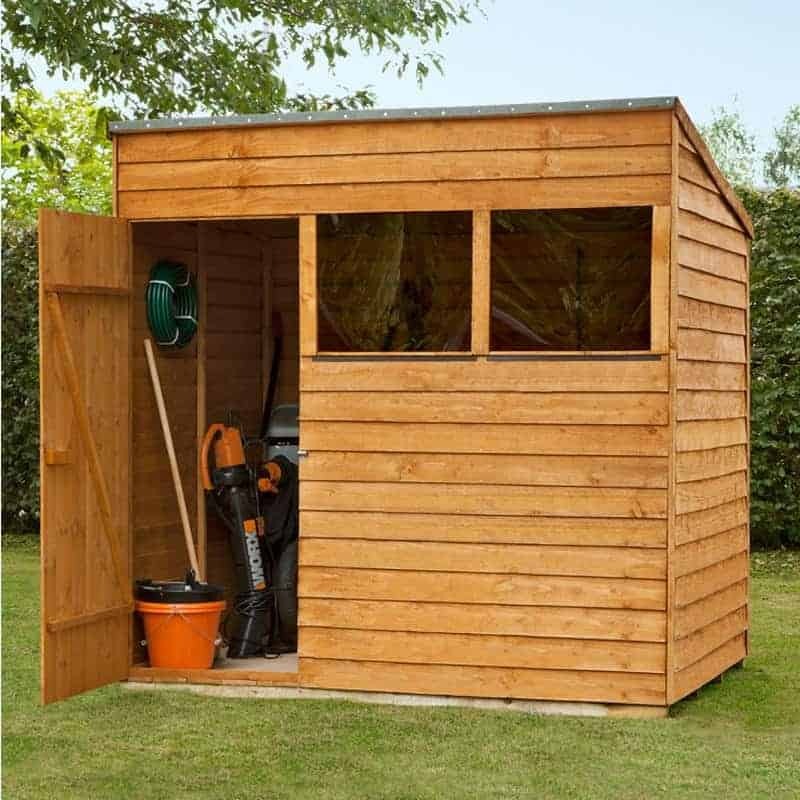 Attractive, in a honey brown wood, it will work well in any garden and has ample space inside for all sorts of garden paraphernalia! 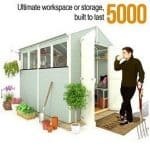 A popular choice for gardeners everywhere, you will be pleased with this building and with a 10 year anti rot guarantee, it will last for many years. 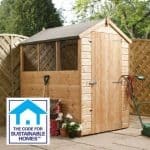 This is home delivered with base.